A multi-faceted $5 million-plus parkland and recreational precinct is the centerpiece of Ecco Ripley, a master-planned community 45 km south-west of Brisbae. The amazing design of the park is the culmination of extensive community consultation, and provides something for everyone, while being within walking distance of the growing town centre. The five-cubicle Caretaker restroom recently installed by Landmark Products at one end of this public facility will serve a vital function for the multitude of families who will undoubtedly frequent the park. 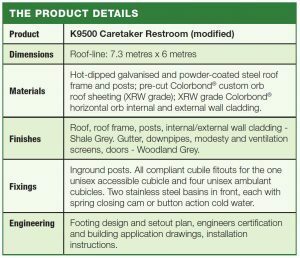 Landmark Products’ were called upon to design, manufacture and install the Caretaker restroom in preparation of the park’s grand opening. 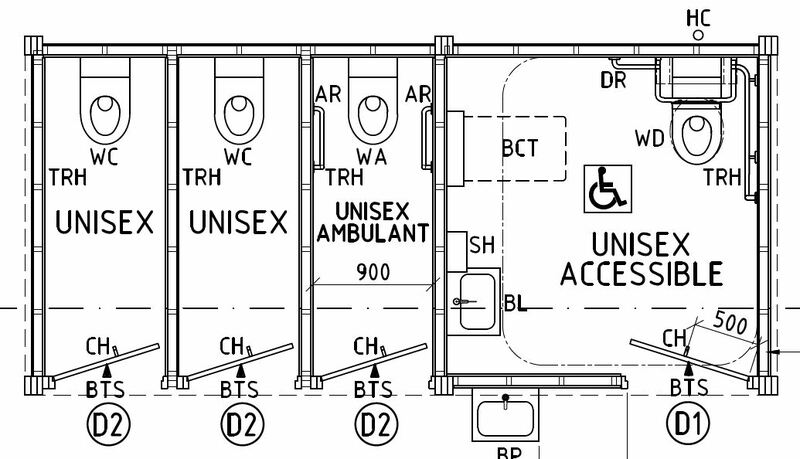 Perhaps the restroom’s most unique feature is its colour – a combination of Shale Grey (roof, external walls and posts) and Woodland Grey (screens and doors). Two stainless steel wash basins are located behind the 1.5 metre high aluminium privacy screens at the front of the restroom – the screens also giving the facility a degree of distinctiveness. 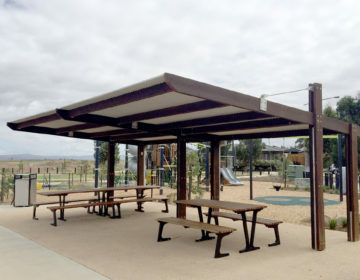 The skillion roof offers additional shade and shelter for park visitors. Landmark installed the facility within three weeks. Key features of the surrounding parkland including a striking playground area, a dog park, multi-purpose court, basketball court, half court netball, several kickabout areas, extensive walking and bike tracks, learn-to-ride bike track, life-sized snakes and ladders, outdoor gym and sheltered barbecue area. Footballers of all abilities can refine their skills on the various kick-about areas, with one of the larger spaces including combined soccer and rugby goalposts. The large kickabout areas will also cater to a range of other sports including cricket. LED Smart lighting will illuminate the large playground, walking tracks and the amenities block.